Many years before dog-shaming.com took off people have shaming their dogs in Halloween costumes. I know… I know… but your dog likes it. Let’s face it, no one wants to be forcefully dressed up in clothes they didn’t pick out. Now, we’re not judging because we’ve put the fair share of costumes our dogs and still do. We’re just calling it what it is… CUTE! All fun put aside, please remember these safety tips so your pooch ghost is safe this Halloween! No matter how many tricks they do, no treats from the candy bowl! Chocolate, artificail sweetners and other candies are toxic to our best friends. if you do suspect that your dog has ingested something toxic, call your veterinarian or the ASPCA Animal Poison Control Center at 888-426-4435. 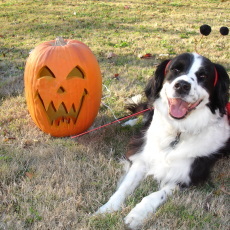 Pumpkins may look great on the front porch, but open flames should never be around a pet. Try using flame shaped LED lights, you can easily find them at Target or other stores. Back to the costumes, if you’re going to do it make sure that your dog can walk, move and most importantly breathe in their costume. Don’t let them greet for the treats. 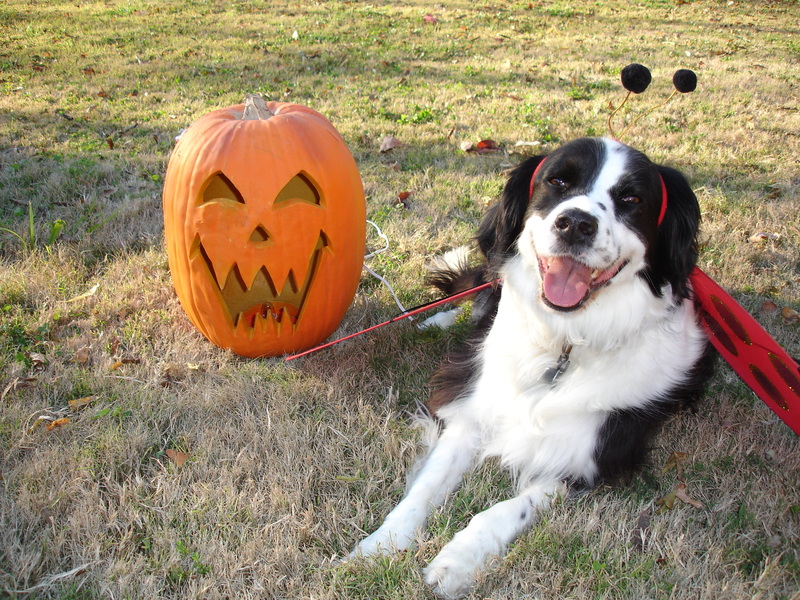 During the time where trick-or-treaters are coming to the door, keep your dog in another room so that they can not dart out the door if they get scared. Most lost pets are lost during the holidays because of the distractions. Put an ID tag on them! In case they escape you want them to be able to come home. ID’s Only about 15% of dogs lost are reunited with their families. ID and microchipping is the best way to ensure that your best friend finds their way home. And remember, have a great time!